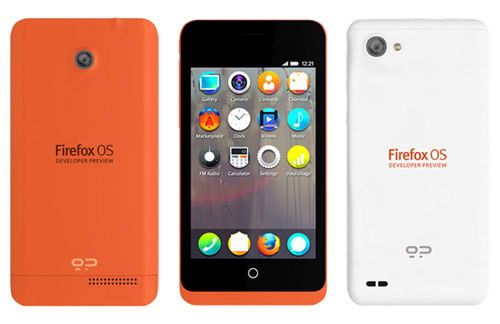 The first Firefox OS developer devices are now available for purchase. Geeksphone, the little-known Spanish company producing the Keon and Peak developer phones for Firefox OS, have opened their online store where the Keon and Peak are priced at $119 and $194 respectively. At the time of writing the Geeksphone site is under heavy load, and users may be redirected to a “max-user-connections” error page. Also, the modestly-specced Keon is now already sold out, with only the Peak variant available for purchase. Unfortunately, delivery options are limited to Western countries only, leaving little option for us here in Asia. However, the adventurous may proceed to make their orders here. The Keon and Peak are the first smartphones running on the new Firefox OS alternative mobile operating system. Find out more about Firefox OS and the other alternative operating systems here.